Secrets Organic - What's In The Box? Hey, friends! 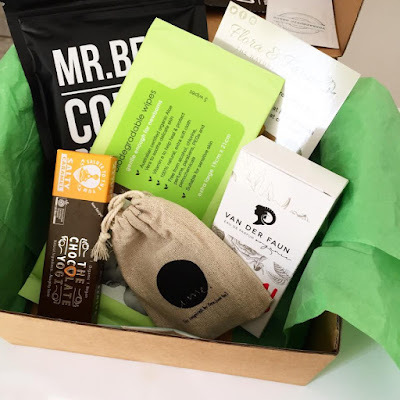 I was one of the lucky people who got their mitts on last month's Secrets Organic Box and oh boy, was it a good one. Before I delve into the contents, I want to let you know a little about who Secrets are and all those kind of deets. 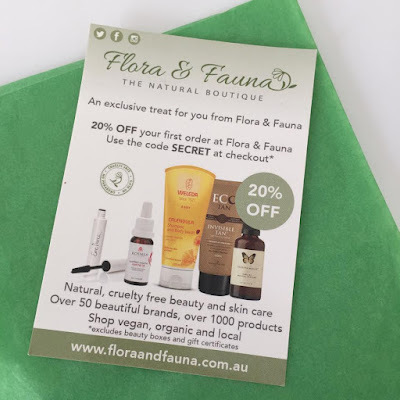 Basically, this is a subscription box service that includes only Australian, organic goods - perfect for those who want to move into the organic sphere but don't know where to start, or cannot afford to overhaul their whole life. By receiving a monthly selection of products, you can decide what works for you or doesn't, and ease your way into the change. Conversely, this is also handy for those who are already living the organic life but want to find new companies and products to use. Double whammy. Another huge selling point is that this company is run by some mega-rad ladies who are incredibly passionate about what they do, and absolutely deserve your support! With a starting price of $21 a box, it won't break your bank, but might just make you fall in love. 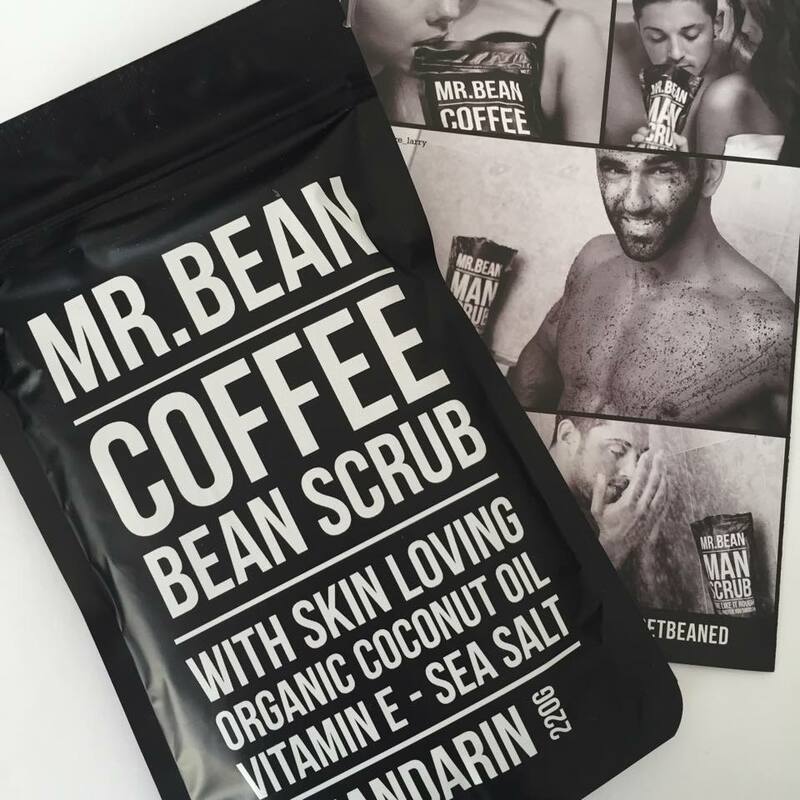 The first thing that caught my eye was the Mr Bean Coffee Scrub - I've seen everyone talking about this, including one of my best friends Ashley who reviewed it here, and so I was thrilled to be getting on the band wagon. This stuff smells delicious, and I'd probably eat it if I were blindfolded and told it were food. More importantly, this stuff works amazingly - super abrasive with added nourishment from coconut oil. Highly recommend this stuff! 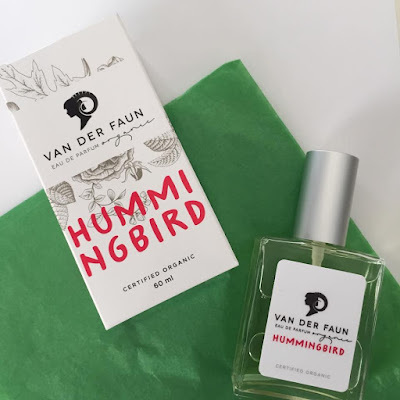 Next up is an organic fragrance - who knew such a thing existed? Or was it just me that was unaware? I received a 'ime' perfume, which has an incredibly botanical smell. It has flowers, grass, herbs, spices, bark and buds listed as ingredients, which paints a very natural picture of the scent. I found, however, that as it reacted to my body it changed slightly, becoming a little sweeter which I definitely enjoyed. Perfumes like this are perfect for those with sensitive skin, as there is no nasties inside at all! 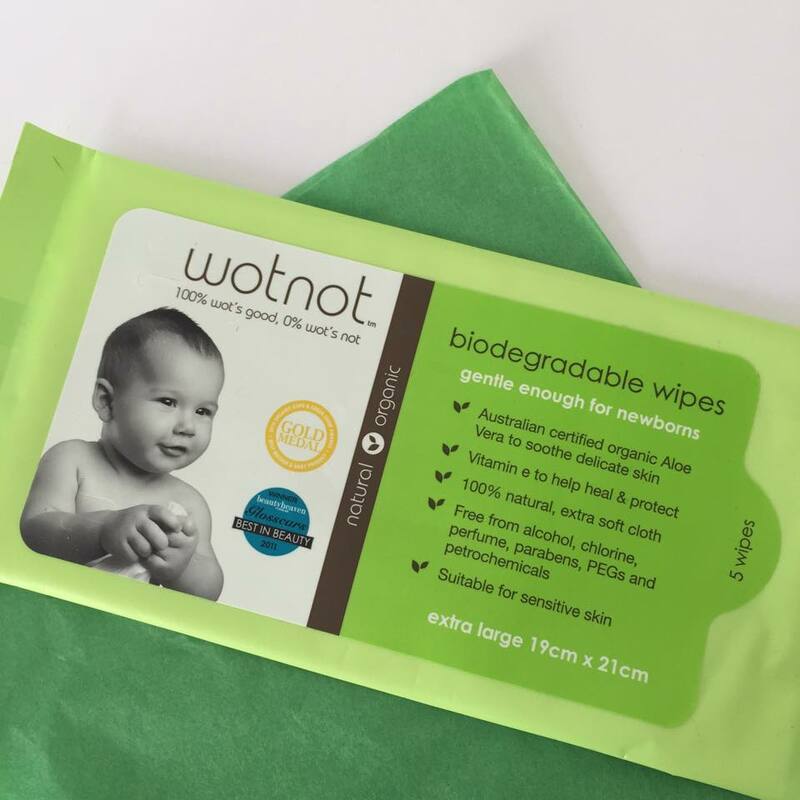 Wotnot wipes have been in my arsenal for a while now, so I was thrilled to see these as an inclusion. Sometimes I use wipes and feel as though I've drenched myself in vodka or chemicals - not a fun feeling on sensitive skin - but these wipes are equal parts gentle and effective. If you have skin prone to tantrums, or know the benefits of eliminating harsh chemicals, I would absolutely recommend these. 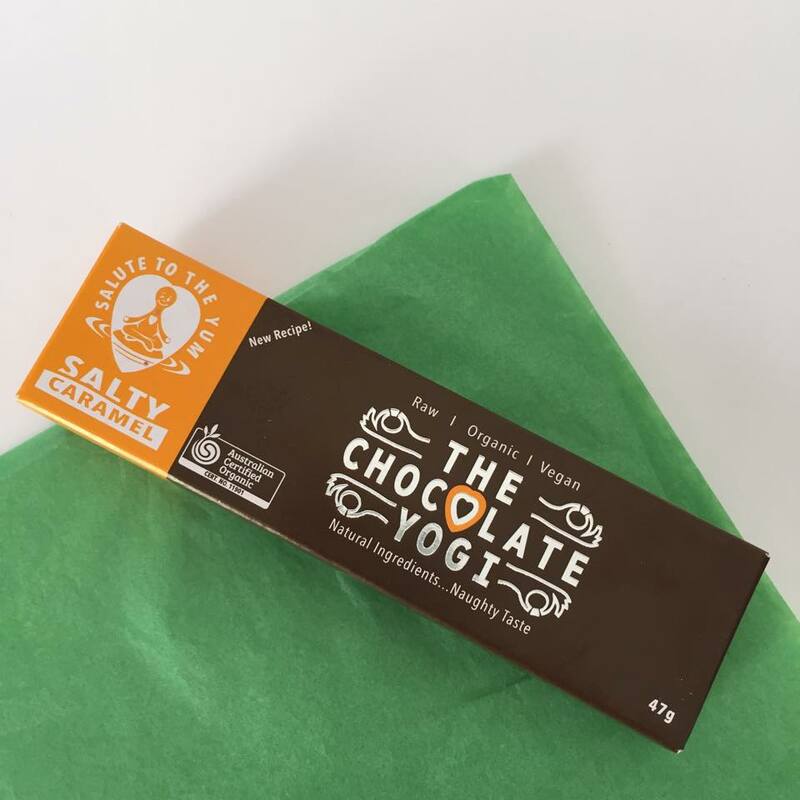 Naturally, I was very excited when I spied a chocolate bar hiding in the depths of the box, and all hopes of saving it for later disappeared when I saw that it was salted caramel flavoured. This is a photo of the empty box because I'm a human being with flaws, ok?! It was delicious, in case you wondered. Plus it's organic and gluten free, so it's not bad for you...that's definitely how it works. It is at this point that I feel the need to mention that there were definitely some Coconut Magic energy bars included in the pack, but I gobbled them up so quickly that I didn't get the chance to photograph them. Also delicious. 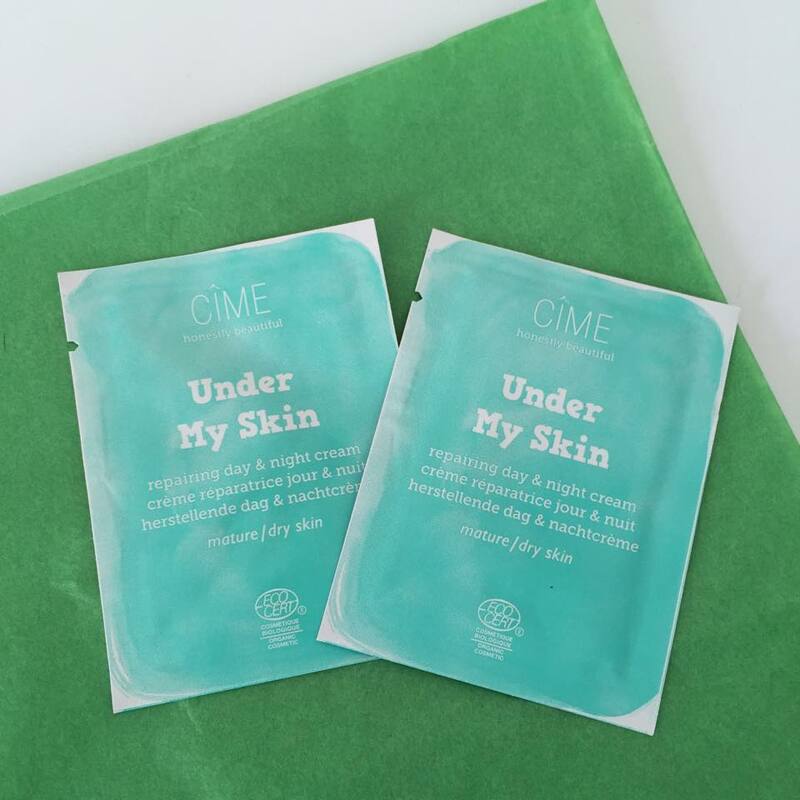 One item that I have passed on, due to the fact that it is formulated for mature/dry skin, is the Under My Skin Repairing Day & Night Cream samples. 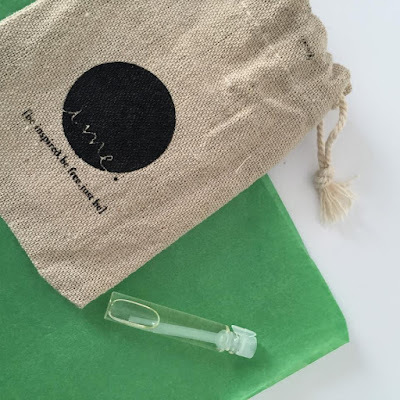 I am a huge advocate for organic beauty products, and so I love that these were an inclusion in the goodies. Upon approaching my mother for a review, she responded with "Oh yeah, I liked that. Feel my skin!" which is a rave review if I ever heard one. But in all seriousness, she loves it. 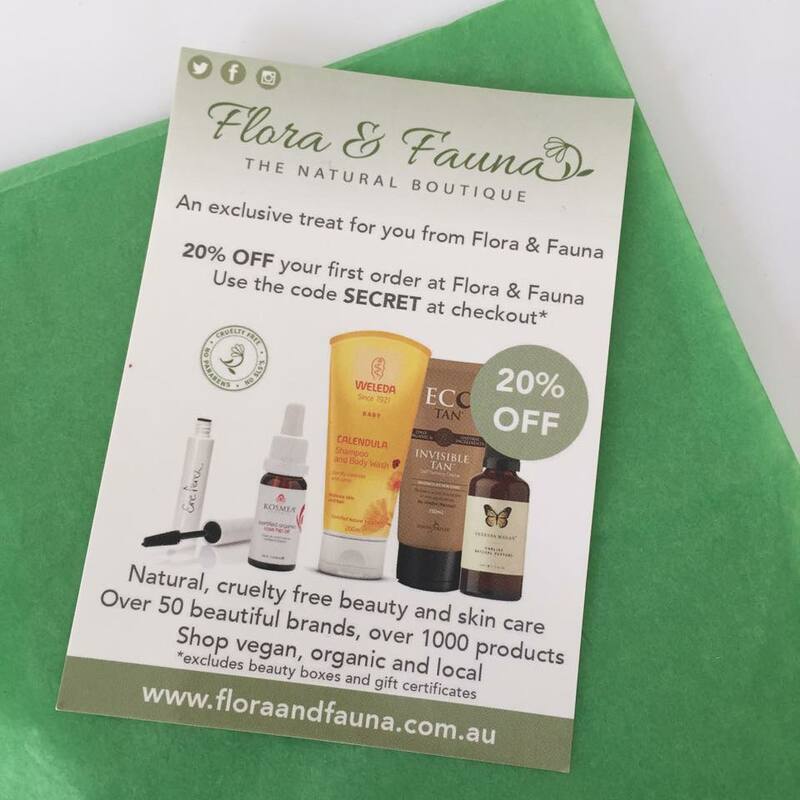 A neat little addition was a 20% off code for Flora & Fauna, a boutique for natural, cruelty free beauty and skincare. This is such a great idea as each individual can personally pick out some things for themselves that they'll actually use and enjoy. Finally, I received a little 'secret agent' gift in the box, which is one of my favourite elements of the whole process. If you receive one of these bad boys, your job is to test it out and report back to the Secrets ladies with your thoughts. I received another addition to my scent collection. Hummingbird by Van Der Faun has an expectedly natural scent, which sounds like a euphemism for 'smells like plant' but I assure you this isn't the case! It has a musky, patchouli-esque aroma which isn't offensively overpowering in the way some can be. According to the handy-dandy box it contains Rose, Honeysuckle, Geranium, Bergamot, Palmarosa, Amyris and wouldn't you know it, Patchouli. If any of those words sound like a good time for you, you'll love this! I really enjoy this, from the scent all the way down to the minimal packaging. Overall I am so impressed with the box; the variety and quality of the products is incredible, and the price is unbeatable! Thank you so much to the ever lovely Secrets girls for gifting me this delightful loot - it's always a pleasure working with you!